We just got a new grill and I knew the first thing I cooked on it had to be something worthy. Since this recipe combines the glorious tastes of bourbon, bacon, and bbq sauce, I thought it fit the bill. You may be looking at the photos and saying, “Hey, where’s the bacon? ?” Well, the bacon in this recipe is actually made in to a delicious paste that you then coat the chicken with before grilling. Whoa. Who even knew bacon paste was a thing? 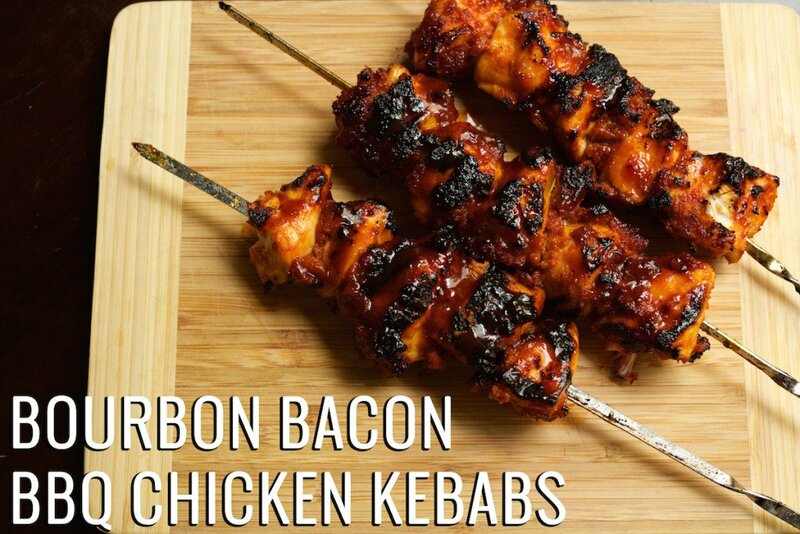 After making these kebabs, I’m pretty sure everything should be covered in bacon paste before cooking! In a small bowl, combine the BBQ sauce and bourbon. Mix well. 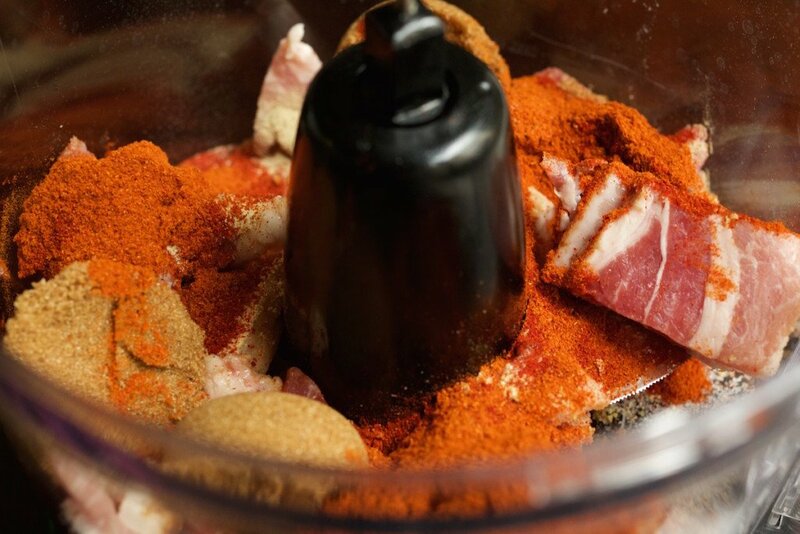 , combine the kosher salt, white pepper, onion powder, paprika, garlic powder, dark brown sugar, smoked paprika, and bacon. Pulse until completely smooth. Put the chicken pieces in a bowl and then rub with the bacon paste. 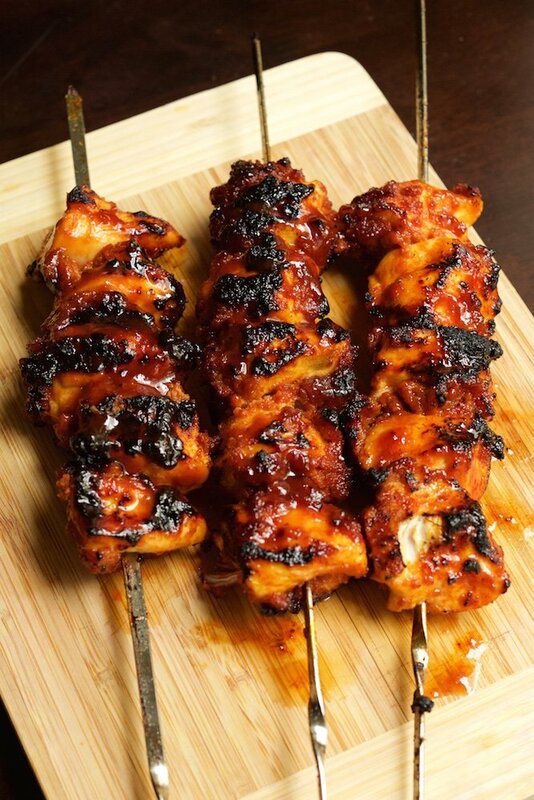 Once well-coated, thread the chicken pieces onto skewers. 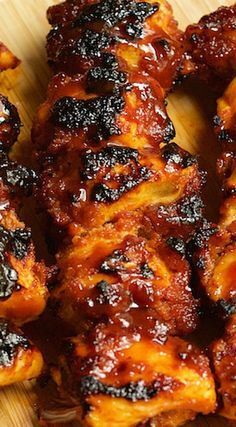 Brush the kebabs with the bourbon barbecue sauce and cook for an additional minute on each side. Serve with the remaining BBQ sauce. have you ever broiled or baked this if you have no grill available? Is there any way this could be cooked in the oven? Maybe partially cooked and then put under the broiler to get that nice crispy topping. Our grill is outdoors and at 30 degrees a bit too cold to venture outside. I’ve never done it in the oven, but it could work. I would bake at 375 or 400 F start checking around 15-20 minutes. It’s ready when the chicken is 165 F in the center.